Hello, friends! We are Coronado’s Pool Renovations; welcome to our blog. If you haven’t heard of us before, that’s alright. In a nutshell, we are West Chester pool contractors. We’re a local, family-owned organization with an A+ rating from the Better Business Bureau. 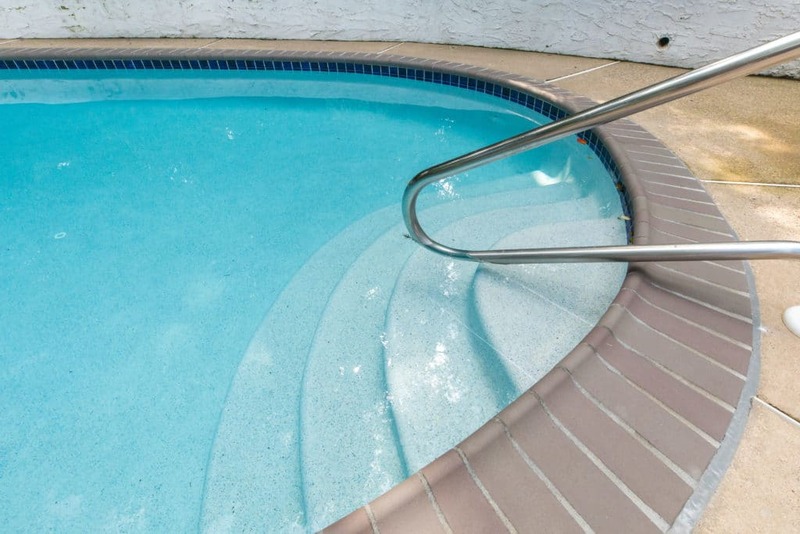 We specialize in all sort of pool-related tasks and upkeep, including repairs, preparations, renovations and cleaning. For pretty much any topic in the realm of pool care, we are the trained professionals you can trust! To find out more about our 25+ year history, our reputation and our warranties, visit our dedicated about page. Having a hot tub available through the cold months can be an amazing blessing. There is nothing like escaping the frigid cold with the heightened relaxation of a steaming spa. However, with the increased rewards of using a spa in the winter, come some increased risks. Take a look at our list of tips for winter hot tub use below and make the most of your spa through the snowy months to come. Keep water level high. If your water level gets too low, some of the internals could freeze and become damaged. Stay hydrated. Bring some non-alcoholic beverages out to your spa to stay hydrated while you soak. Shovel the path between your home and spa. Walking back inside over cold snow could be unpleasant on your wet feet. Keep company. Make sure you use your hot tub with a buddy in case of any unforeseen emergency. Check the weather reports. It is often hard to tell when there may be lightning strikes during snowfall, as snow will muffle the sound of thunder. You may be soaking underwater in the middle of a thunderstorm without knowing it. Get a good pool cover. Sealing your tub with an air-tight cover between uses is important during the winter months. Are you looking to get your pool or hot tub renovated this winter? Want to go with local pros you can trust? Get in touch with Coronado’s today! We’ll talk shop over your dream job, and provide you with a free estimate for whatever work you need done.